The only in car Fuel Injector Monitor available today. Ever wonder if your Fuel Injectors are operating correctly? Would you like to watch your computer adjust fuel flow in real time? Looking for additional insight into your ride's operation? Want a kewl gauge that none of your friends have? F/I Spy ™ is a new gauge that answers all of your Fuel Injection information needs. Using LEDs and clever electrical design, our engineers have designed an inexpensive yet highly informative display. 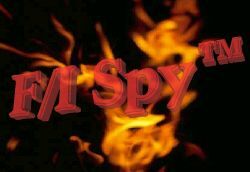 F/I Spy works on in computer controlled, multipoint, electronic Fuel Injected vehicle. Imports and domestics, four cylinders or eight, automatic or manual transmissions, it doesn't make any difference. F/I Spy will give you a peek into your engine compartment and your fuel management system.